Zalgiris Kaunas officially announced the signing of Canadian point guard Kevin Pangos to a 1+1 deal. While the player was also rumored for Panathinaikos and Galatasaray, he is now bound make his Euroleague debut in the upcoming season with the Lithuanian club. 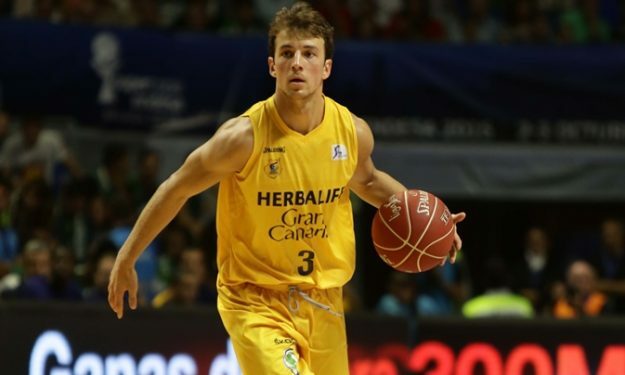 Zalgiris Kaunas officially announced the signing of Canadian point guard Kevin Pangos to a 1+1 deal. While the player was a target of Panathinaikos and was also rumored for Galatasaray, he is now bound make his Euroleague debut in the upcoming season with the Lithuanian club. Pangos comes from a top notch rookie year in Europe, where he averaged 11.9 points plus 4.9 assists per game in Eurocup, making the All-Second Team of the competition, plus 11 points and 5 assists in Liga Endesa. Earlier, Gran Canaria had officially announced that Pangos exercised the exit clause on his contract in order to leave the team from Las Palmas.